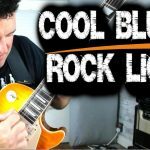 Want some awesome rock guitar licks? Check out this hot rock lick from Michael Schenker. 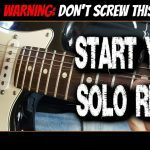 This burning blues rock lick is coming from the C minor pentatonic blues scale and is a classic Michael Schenker lick. 0:44 Let’s hear the lick played slower now. Notice the use of common rock bends and pentatonic scale patterns. Take these and use them to make up your own rock guitar licks. 3:56 Let’s have another listen to the whole lick played fast again over the backing track.